Precision Acoustics has the knowledge and capability to assist customers in establishing on-site audiometric testing facilities to support their occupational health measures. 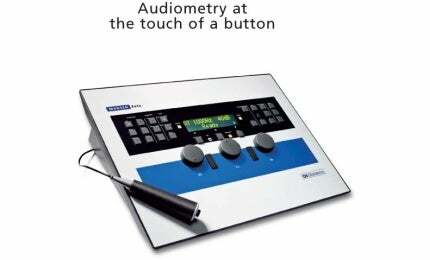 The company supplies a broad range of audiometric testing equipment from screening to full diagnostic. Precision Acoustic’s technicians are qualified to consult with customers on the most appropriate audiometric equipment for their operation’s needs, install the chosen system and then calibrate the equipment for certification. Staff can also perform any repairs or servicing required to minimise downtime. Precision Acoustics supplies the full range of Madsen products, the most popular being the Xeta diagnostic two-channel audiometer for hearing and balance testing with air conduction, bone and masking. The XETA is designed for easy, quick use with minimal training and is fully compatible with OTOSuite audiometry software, which is inclusive. It can be programmed for up to 50 patients or 75 full audiogram tests, to save time wasted by typing out information or changing settings. Several headsets can be individually calibrated for use with the audiometer and selected by the operator. The machine comes with a patient signal, an audiogram pad and roller pens, and a choice of headsets and ear inserts. Accessories are available such as a bone conductor, additional headsets, in-ear headphones, serial cables, USB adaptor, audiogram pads and a carry case. Precision Acoustics offers a range of mini hearing booths, from a basic unit to a premium, flat pack style. Premium model hearing booths offer extra insulation, double-glazed windows, a compressible rubber-sealed door that opens behind the frame to allow for easy movement, and heavy-duty, lockable wheels. Precision’s mini booths reduce the noise levels to that required for threshold testing, without the need for additional headset enclosures. Mini booths can be customised in size and colour, have left or right-hand opening doors and are available pre-assembled or as flat packs. Larger hearing booths are also available and can be built to customer specifications. Precision Acoustics offers an accredited training course designed specifically for attendees to gain accreditation as a Noise Officer. Participants will be taught to measure and report on noise in the workplace. The course is based on AS/NZS1269 requirements, is recognised across Australia and is accredited by the Resources Safety Division of the Department of Mines and Petroleum. The company’s noise management course is hands-on and participants are encouraged to fully engage with the equipment. Real workplace measurements are undertaken as part of the training. For suitable numbers of attendees, a course can be held at the client’s premises if preferred. Precision Acoustics offers site workplace noise surveys that comply with all relevant Australian standards. Once the initial survey is finished, the company produces a detailed report according to the Resources Safety guidelines. Precision Acoustics supplies a range of high-quality sound level meters for operations to continually monitor their workplace. Precision Acoustic’s experience of industrial applications results in professional advice for the correct choice of sound level meter to meet every customer’s needs and budget. Precision Acoustics is a family run business operating in Perth, Western Australia. The company’s highly skilled technicians have a combination of more than 60 years of experience in acoustics and the occupational health and safety industry. Precision Acoustics’ delivers a personalised service in a professional manner. The company’s clients include the hearing health industry, mining and petroleum, government, defence forces, industrial and commercial.